The chances of you winning the Mega Million's jackpot on Tuesday night are... low. But we're pretty sure you're going to win it anyway. When you do, you won't be able to keep all $1.6 Billion in lottery winnings, but you'll still be taking home a whole heck of a lot, so you should take this last opportunity to enjoy free stuff while the concept of saving money still means anything. 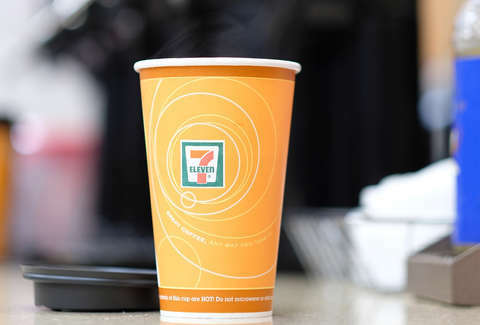 In tribute to the excitement around the lottery, 7-Eleven has FREE medium coffees and teas until midnight on Tuesday, October 23. You don't even have to buy a lottery ticket to get them. But maybe you should. Soon, you'll be drinking some sort of rich-person bean juice we can't even imagine, so take this opportunity to enjoy the drink of the proletariat. There is one catch, though. To get your free beverage, you have to be a 7Rewards member. So, sign up (it'll only take a second), scan the app at checkout, and then get caffeinated as you take in the numbers that will soon bring you extreme wealth. Remember we did you this favor when you're a billionaire.